Protect a Tree from Pee – LCS Featured in the News! 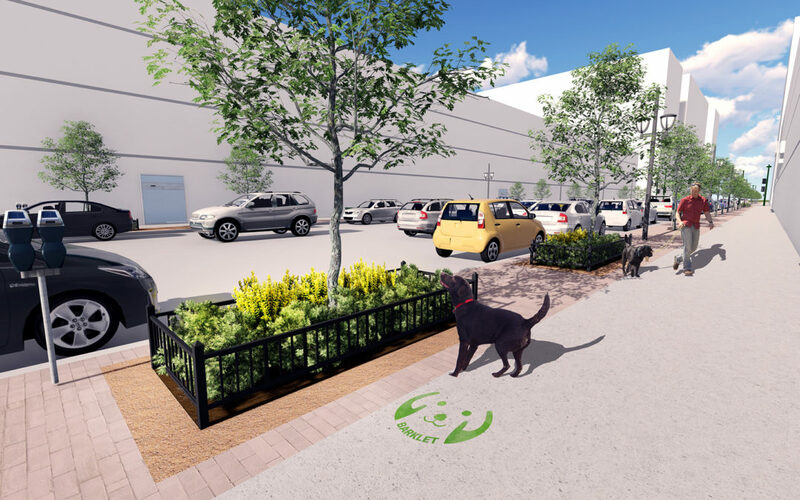 Livable Cities is working with the Central Platte Valley Metropolitan District to develop a strategy to address Denver’s growing problem with dog pee in parks and streetscapes in developing urban neighborhoods. With a roughly estimated 1,200 dogs about to be occupants of the roughly 3,000 apartments and other residences that have been built or are under construction behind Denver’s Union Station, the district was seeking solutions to protect street trees and public gardens from urine damage. Our work prompted a news article in the Denver Post “Grass and trees “under siege”: Downtown Denver’s thousands of peeing pooches spark call to protect urban greenery” where LCS Principal, Todd Wenskoski, was interview about our firm’s approach and potential solutions. What Are Those Cute Green Dogs All Over Denver Union Station Neighborhood? What does the future hold for the lowest income neighborhood in Denver? Livable Cities Studio © 2018. All Rights Reserved.